The Slysz Bowie is based on knifemaker Marcin Slycz's custom design. It is a titanium frame lock folder with a Spyderco wire clip. The blade is full-flat ground, stonewashed, and utilizes an elegant thumb hole opener. 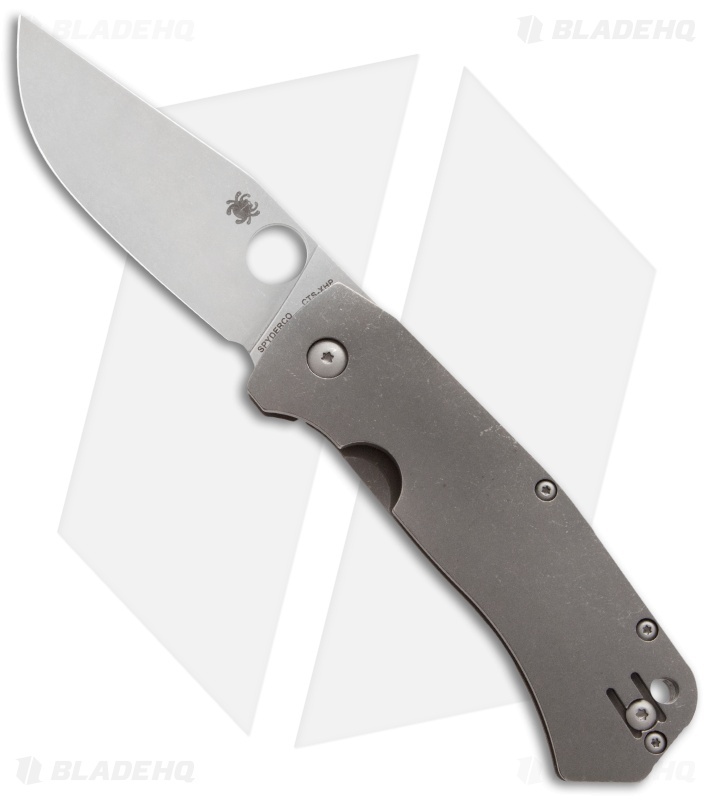 Locks up like a vault, the action is as smooth as ice on glass, top notch quality from Taiwan, and one of the nicest blade finishes from Spyderco. Only thing that made me think twice was the price, but the quality speaks for itself. *The knife runs on washers so it needs some time to break in, but becomes buttery smooth in no time. Smooth, solid, beautiful. A real show piece, and an excellent user. The fit and finish and attention to detail are mind blowing for a production knife. Spyderco really hit a home run on this one!!! $300 seemed like a high price for the Slysz Bowie so I watched all YouTube reviews. I decided to take the plunge and ordered it. I must say it was all I was expecting it to be. Tight tolerance, perfect blade centering and the contoured titanium stone washed polished scales were perfect. CTS-XHP is also stone washed and highly polished. Even the hardware is stone washed. After a few days I could not resist and took the knife apart to see how hard it could be. VERY EASY and simple to take it apart, clean it and re assemble. The clip is quite deep carry. Comfortable in the pocket. Rock solid knife. Blade HQ quick service is the best. 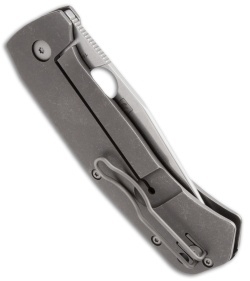 If you want a high quality tough pocket knife this is the one. The fit and finish on the knife are of a very high quality, with a fine attention to detail in nearly every aspect, with one major exception. After ordering two knives and having customer service inspect the knives for any defects (I specifically mentioned lock stick during each conversation), both models that I've received have had significant lock stick. The first model had tooling gouges in the tang of the blade, while the second has embedded galling material on the tang from the titanium-steel interface. Both of these defects has caused gritty, completely unsatisfying, lock stick. For $300, this knife should not come with these significant imperfections, and I cannot provide a positive review for this model. I love this knife. It is beautiful in person and feels super high-quality. It feels great in the hand and is an excellent slicer. For me it is somewhere between an EDC knife and a hard-use knife due to its size and materials, but I think it works well for either. Just the right size blade, and not overly thick so still a good slicer. Photos don't do the blocky looking handle justice: it feels great because the scales have a little curvature and nice texture. Very solid lockup, and not too heavy.